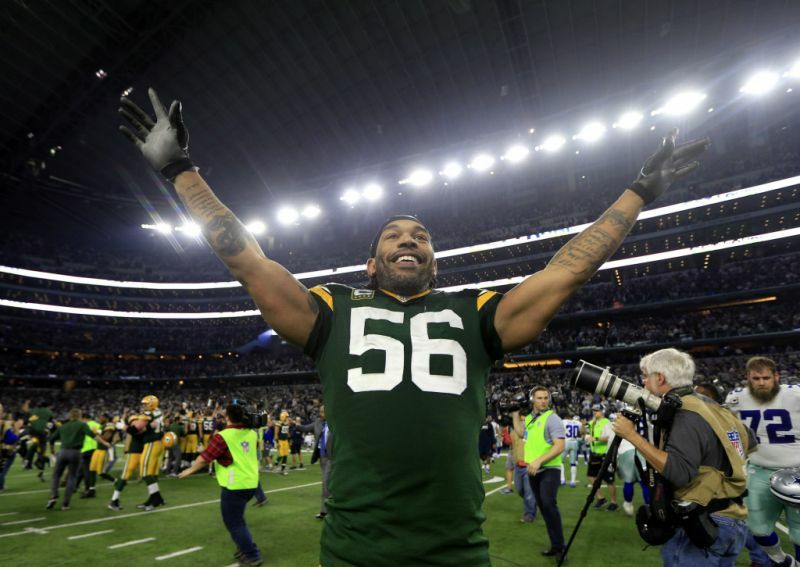 Pass-rusher Julius Peppers is returning to the place where he started his NFL career. His agent, Carl Carey, tweeted Friday that Peppers will sign with the Carolina Panthers. A source told ESPN's Josina Anderson that it is a one-year deal with a base value of $3.5 million that can reach $4.25 million with incentives. The 15-year veteran spent eight seasons with the Panthers after being selected second overall in the 2002 draft. He was a five-time Pro Bowler in Carolina and helped the Panthers reach Super Bowl XXXVIII after the 2003 season. Peppers, 37, posted 81 of his 143.5 sacks while with the Panthers. He ranks fifth on the NFL's career list, behind Hall of Famers Bruce Smith, Reggie White, Kevin Greene and Chris Doleman. Defensive end Charles Johnson, who is second on the Panthers' all-time sack list with 67.5, said earlier in the week after re-signing with Carolina that he was "all-in" on helping recruit Peppers for a return. And linebacker Thomas Davis posted an Instagram photo of him and Peppers on Friday afternoon. Peppers joined the Chicago Bears in 2010 and then the Green Bay Packers in 2014. He was named to three Pro Bowls for Chicago and one for Green Bay. The Packers signed Peppers to a three-year, $26 million contract in 2014 after he was released by the Bears. He picked the Packers in part because he believed it was his best chance to get an elusive Super Bowl ring. In three seasons, he helped Green Bay to two NFC Championship Games, but he never got back to the Super Bowl. He was a part-time player for most of the 2016 season but still was second on the team with 7.5 sacks, despite a slow start and several games in which he made little impact. Peppers has 661 career tackles, 47 forced fumbles, 18 fumble recoveries and 11 interceptions. He was the NFC Defensive Rookie of the Year in 2002 and Defensive Player of the Year in 2004. Carey told ESPN earlier this week that the three-time first-team All-Pro had committed to another season after mulling retirement. "Julius, after taking some time to reflect during the offseason, has decided that he still has the desire and enthusiasm for the game, and his intention is to play a 16th NFL season," Carey told ESPN on Monday. Julius Peppers is headed back to where his career started, signing a deal with the Panthers, his agent announced on Friday. The Carolina Panthers made Julius Peppers the second overall pick in the 2002 NFL draft, and he became one of the franchise’s best players over the following eight seasons. It had been rumored for weeks that Peppers, 37, could return to the Panthers, a team that needed some pass-rush help, and now it appears that’s happening. He has collected at least seven sacks (7.5 in 2016) for the past nine seasons and 143.5 over his 15 NFL seasons with the Panthers, Chicago Bears and most recently, the Green Bay Packers. Peppers remains the Panthers’ all-time sack leader with 81 in his time in Carolina, followed by Charles Johnson at 67.5. Peppers and Johnson were teammates in 2007 and 2008 and appear to be reunited again. Set to turn 38 following the 2017 season, Peppers remains an effective player when used properly, even if he no longer impacts games the way he used to on a full-time basis. Still, remarkably, Peppers last missed a regular-season game in Week 16 of the 2007 season, having played 144 consecutive games — behind only Pittsburgh Steelers defensive back William Gay among active NFL defensive players — in a streak that is currently active. Peppers was an outside linebacker in the Packers’ 3-4 system but likely will return to being a down lineman in the Panthers’ 4-3 scheme. In the Packers’ playoff victory over the New York Giants, Peppers had a sack, two QB hits and two passes defended. The Panthers have put a lot of resources in retaining the core of their veteran defensive line, and now they are looking to their past for more help up front, adding a future Hall of Famer who started his career there nearly 15 years ago. 0 Response to "Julius Peppers to rejoin first team, sign with Panthers"